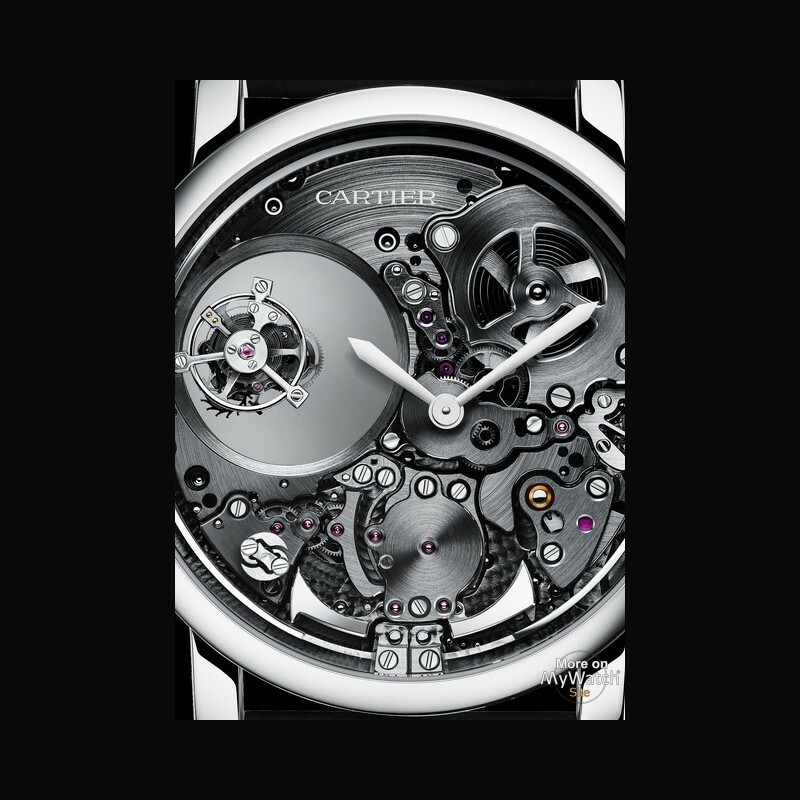 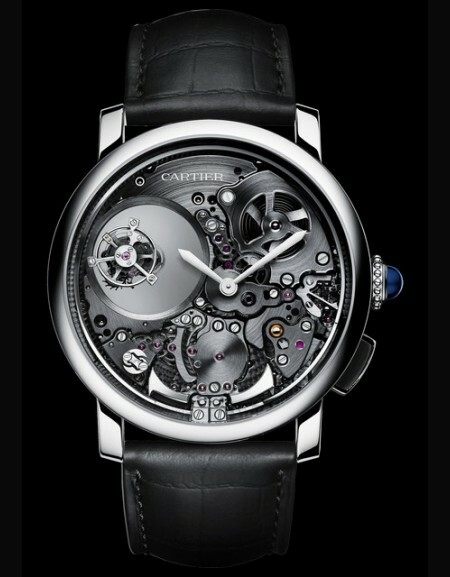 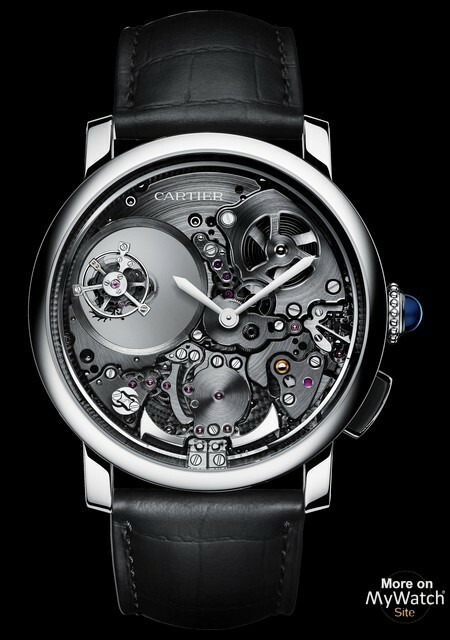 The Rotonde de Cartier watch combines the mysterious movement and this particular complication for the very first time, with impressive effect. 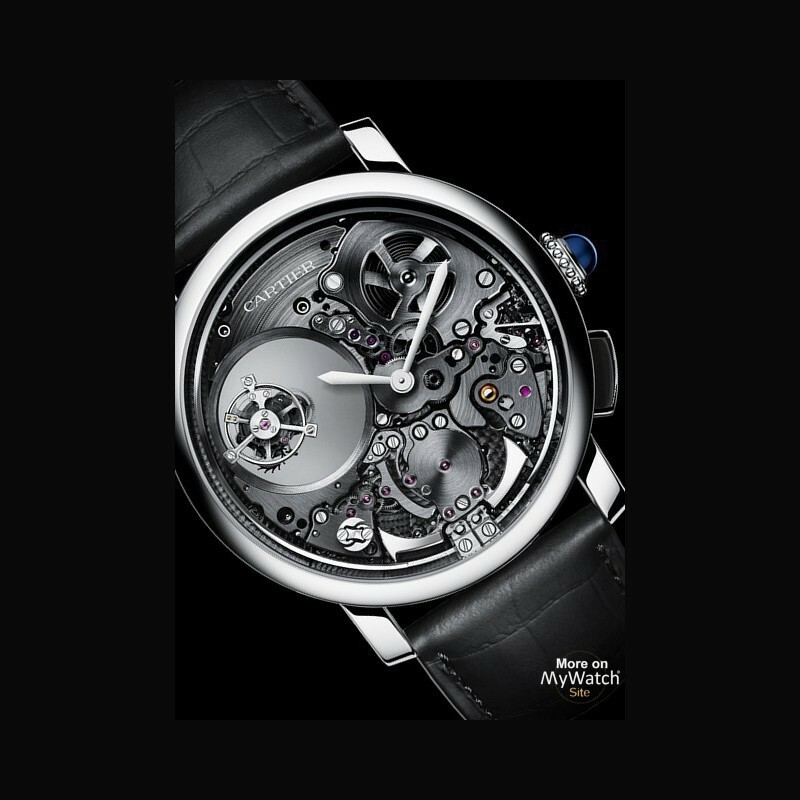 In addition to the technical feat of assembling 448 parts in a case measuring a mere 11.15 mm, the timepiece is aesthetically stunning. 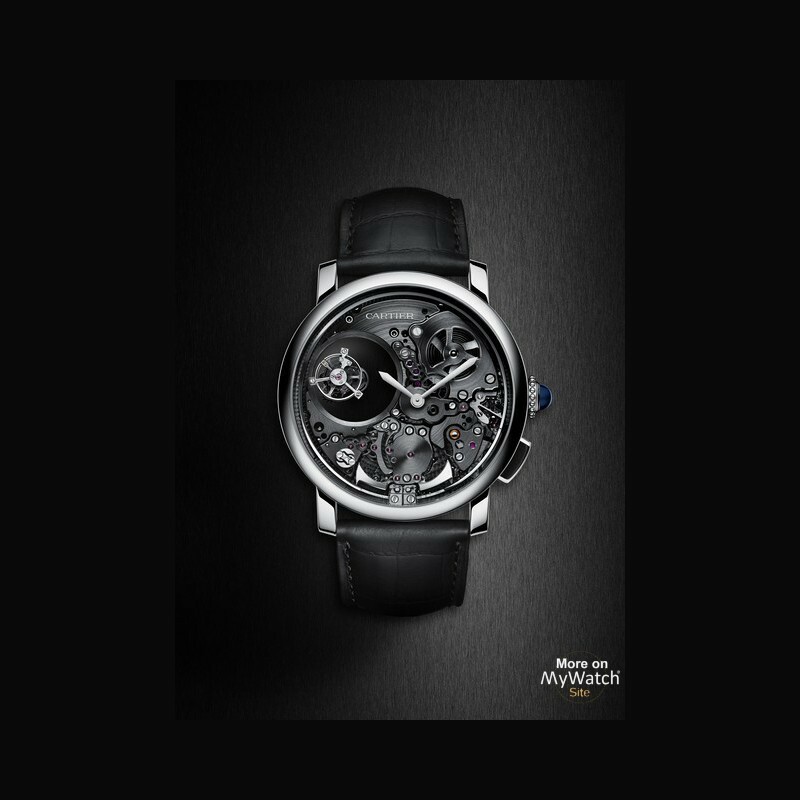 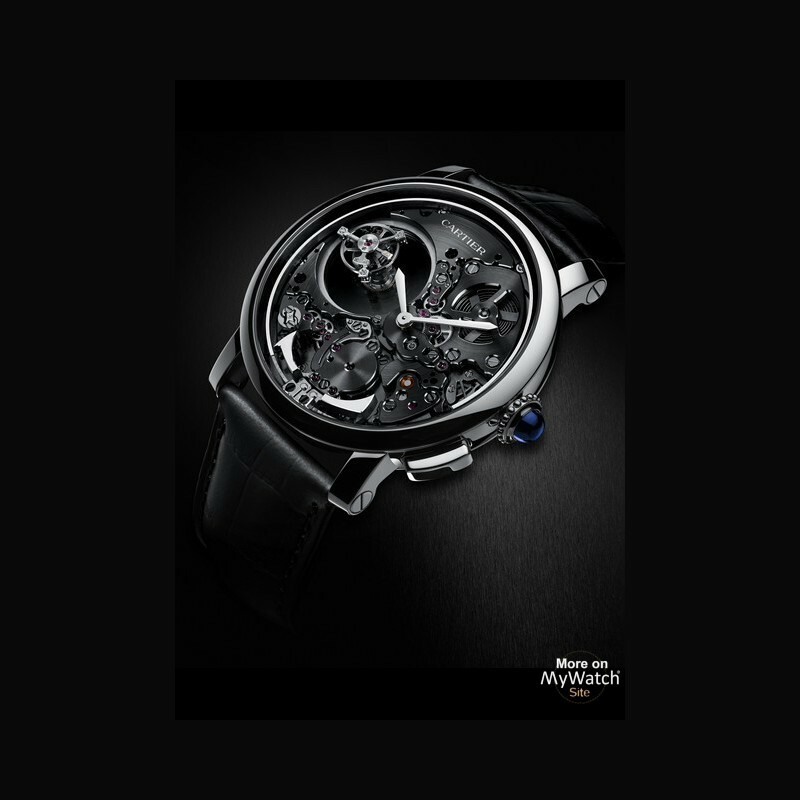 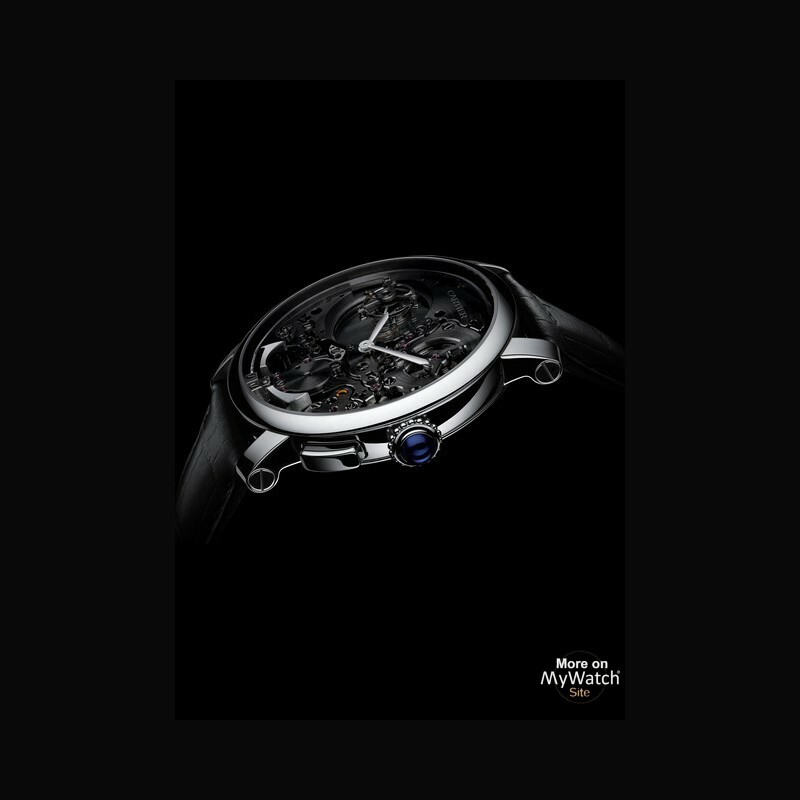 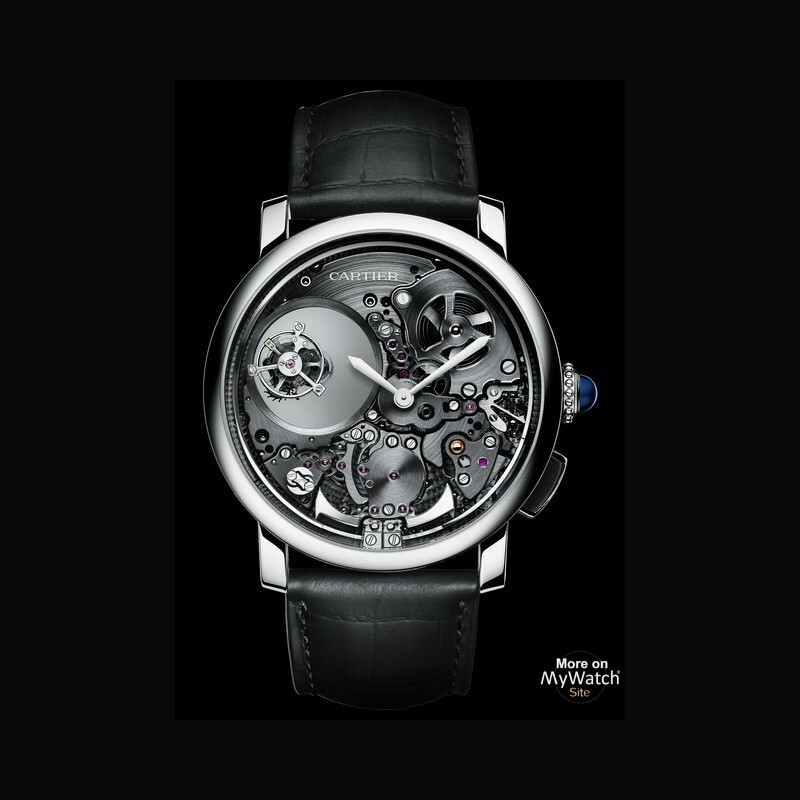 The openwork mechanism and contrasting black rhodium plating expose the transparency of the mysterious double tourbillon, and reveal the steady rhythm of the minute repeater on demand.